Day 5 Spring is here! Much to my delight today, I discovered that the chives I needed for my avocado soup could be gotten fresh from my own garden! Spring is on its way. 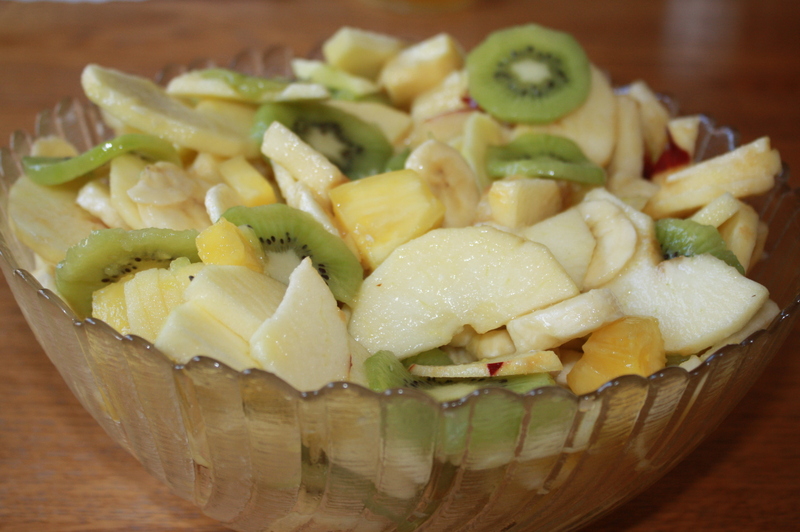 Started my day out this morning with Apple Kiwi Salad pg. 145 It was good. I probably wouldn’t use that many apples as it drowns out the other fruit. Next I made Vegetable Soup Stock pg. 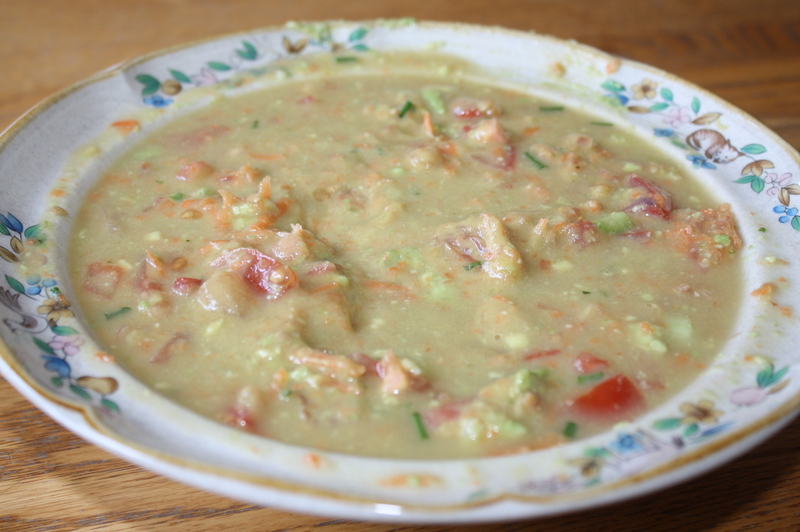 207 for Avocado Soup pg. 200 My family had never heard of raw soup before. When they asked me what I was making they all gave me the same reaction. Raw soup??? For Dinner I made Salsa pg. 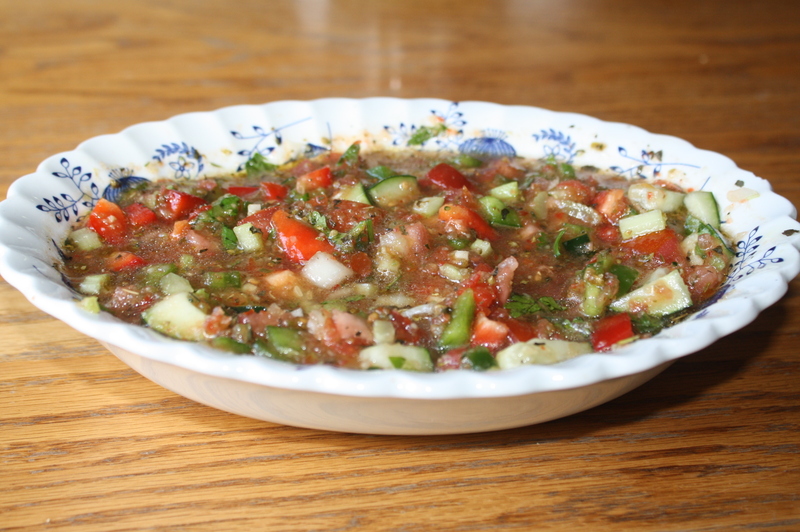 264 It was nice to have fresh salsa! It was good but I prefer a spicier less sweet salsa. Guacamole pg. 288 My family and I love guacamole! It was good though I would season with salt. 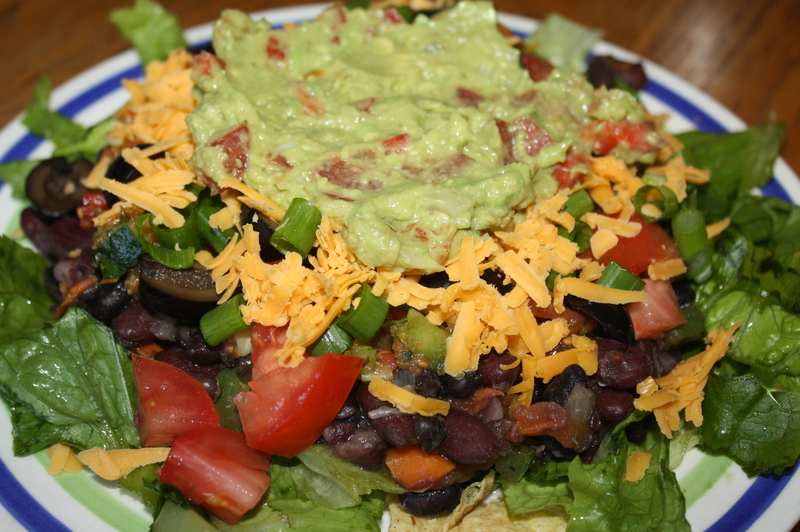 Vegetarian Taco Salad pg. 264 I really liked the variation of eating a taco salad instead of the standard tacos in a tortilla shell. The Vegetarian Taco salad was good, but the “Taco sauce” needed more seasoning. Penzy’s has a good taco seasoning. There seasonings seem to be free from additives and what not. I wonder if you would like that for your taco sauce. Thanks for this tip! We have a homemade taco seasoning recipe that is yummy as well. If I make it again I definitely would add something.